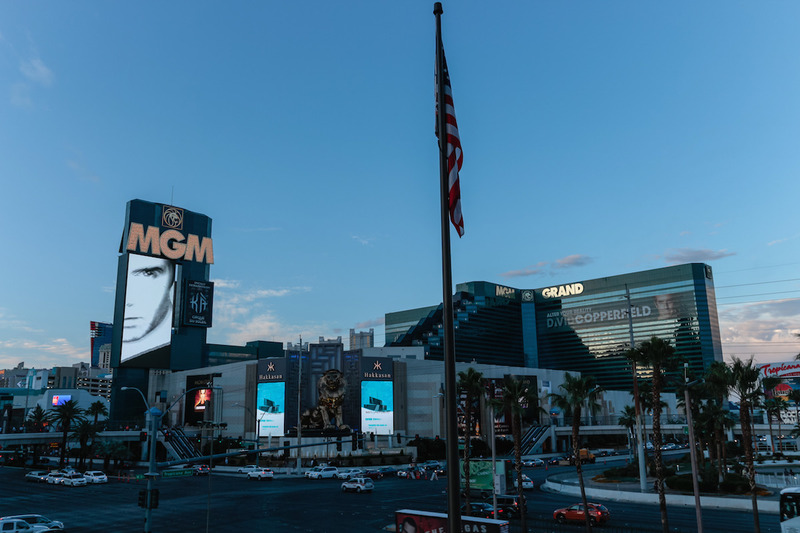 Just came back from my weekend stay at MGM Grand. Came to the check-in desk and looked at the workers helping guests and found a young lady in her mid 20’s. Started conversation off asking her how she was doing, has it been a busy weekend for them, blah blah. I was going to do the sandwich but there were so many other staff around that i thought it would be inappropriate and ruin any chance of an upgrade. instead i kindly asked if there were any comp upgrades available and she quickly began looking. found a room and spoke to her manager for a second and they were able to give me a Hollywood suite (the suite above the Celebrity suite). I gladly took it and thanked her. I dont remember her name but she was very sweet and helpful. IMO its better to start a conversation that will make the worker comfortable with helping you if you ask. the $20 sandwich can give the wrong idea (bribe?) and blow any chance of an upgrade. I checked in at airport and tried a $50 dollar sandwich. I mentioned that I was celebrating my 50th birthday and was hoping that with recently reburbished rooms and suites that were not available when I booked (but were now) I could get a good upgrade for the sandwich. I also mentioned that 6 other rooms were booked by people coming to celbrate with me. We ended up with a great view on the 28th floor. We faced north so we could see the strip from City Center to the Mirage and could see the Bellagio Fountains. Wow! And the guy gave me my $50 back. So I asked if I could ensure my guests were close by. He was able to accommodate – which turned out to be great because different elevators go to different floor groups so I wouldn’t want people to have to take two elevators to visit one another (of course everyone had to see our view). I ended up giving the guy a $20 and enjoyed our stay. This was our very first trip to Vegas. It was 0800, we had the earliest flight in, was worried we wouldn’t be able to check in. Arrived at MGM Grand, no lines at all, but only two clerks open, a guy and an Asian gal, so after reading alot on this site, I chose the Asian gal. I handed her my “sandwich” and before I could ask for any complimentary upgrades, she said, “Oh, there’s money in here, what is it for?” So I said it was hopefully for her “excellent customer service” and she laughed and said “Ok”. She told us our reserved room was not ready and regular check in started at 3pm, but if we didn’t mind a strip view on a higher floor……mind? !…….she had a room that was ready now! So we went from a 4th floor unknown view, to a strip view on the 28th floor! We were far enough from the elevator that is was wonderfully quiet! And we got the early check in and she arranged for a 2pm check out, since our flight wasn’t until 5pm. We later read that each of those features were available for purchase for $20 each (strip view, early check in, late check out) so at minimum we saved $40 there and got the 28th floor (out of possible 29) instead of the 4th floor. After all that, she picked up the money and asked if we still felt she should keep it or if we would like it back! How cool was that, but we definitely told her she totally deserved it and that made her smile! Excellent experience and I will try it every time now! The “upgrade” here was a total joke. I don’t know how small the basic room is but the room I was upgraded too was “445” square feet supposedly, which it didn’t seem any bigger than any other room that you can get anywhere. I was told I’d have a “pool view” which was ridiculous. The pool was like 6 miles away and you could not really see it at all. But the view did look down on the roof and some area full of dumpsters. I called the front desk and complained and they didn’t care one bit. I actually ended up going back to the front desk and waiting for the same lady so I could tell her it was ridiculous and that she better be handing that 40 dollars back. She looked really surprised and told me she could put me in the stay well room with a strip view (which was funny cuz she told me they did not have any strip view rooms when I gave her the money the first time because they were at 99% capacity for a convention which turned out to be a lie). The stay well room was the same size as the other room but with some pointless junk in it like an aromatherapy scent box and stupid lighting. The view was a lot better. Overall the hotel isn’t good. Valet takes at least 30 minutes every time. It’s crowded, the pool is packed, unfriendly staff. The restaurants are overpriced. The whole stay was horrible I actual thought about canceling and moving over to Mandalay Bay. Bottom line is I’ve given less money at Caesars and gotten a way better room and I’ve given just as much money to Mandalay Bay and gotten a fantastic room! Save your money, don’t try the $20 trick here, in fact don’t even stay here. Booked Grand King, upgraded to Strip View Grand Queen I guess? 2 days of stay. Not a best upgrade, but just enjoyed the first time experience on this trick. Checked in at around 12:30 AM on a Friday night/Saturday early morning. Concert going on that night (Jay Chou, one of the most popular Chinese singers). A lot of people waiting in line for checking in. Do a sandwich trick after he asked for ID, and asked is there any room upgrade. He walked away and talked to his manager, came back saying there might be no room for upgrade and returned $20 back. 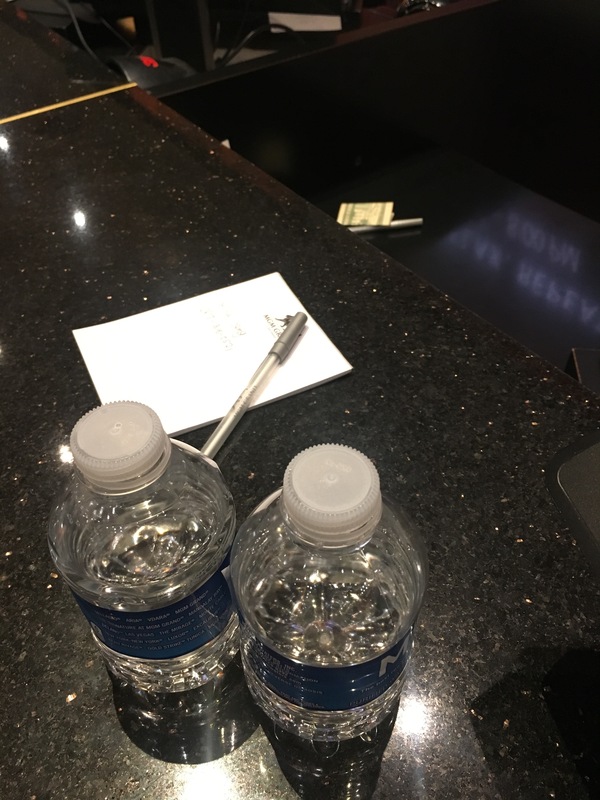 Then he gave us two small bottles of water, walked away again and came back saying we got green light. He saw we were holding the $20 and he said “I’ll take that at the end.” Everything went great and we did a handshake (not in Chandler Bing’s way) and gave him the bill. Awesome experience! I didn’t see the options listed, but I booked a standard room and was upgraded to a Stay Well room. I didn’t select a particular clerk, I just went with the next available and was friendly! Came in town on New Years Day at about 3pm, the line was long but waited 47 minutes to try the trick. Got a really nice dude, gave him the sandwich, asked if there were any complimentary upgrades, and he went looking. My brother and I had only booked a Grand Queen, and the clerk moved us into a Stay Well Accessible Executive Queen, which is bigger, and gave us a lounge and personal concierge. We used the concierge to book our party of 11 at d.Vino at Monte Carlo one hour prior to eating. Well worth the $20! Booked petite king online via MGM website. Arrived around 3p with a few people ahead of me in line. When it came my turn I was helped by a very friendly young lady. We had good banter and she was tuned into what was going on..asking “is this your first time here?” in a good natured tone. She upgraded me to strip view grand king. Not sure what else happened after that because I got a call from customer relations shortly after getting into my room asking how my stay was going. Same thing happened again on the 2nd night of my stay. FWIW – it is key to use the word “complimentary” when asking if any upgrades available. I failed this once during a stay @ Mirage – the clerk only offered me the pricing for upgraded rooms. Our clerk was a youngish Indian man, very nice. Just slid the money to him in the sandwich and asked if he could check to see if any complimentary upgrades were available. He upgraded us to a strip view with 2 comped buffets. The website states this room is $5 more per night, so with the buffets we considered it ok. It wasn’t a suite, but it was a little better than we had booked, and our room was nice. Airport checkin….credit card sandwich $20…upgraded us (4 – 34year olds) to Marquee Suite in Vegas for Bachelor Party. Also gave us $300 credit for food at the resort (which lasted one night).